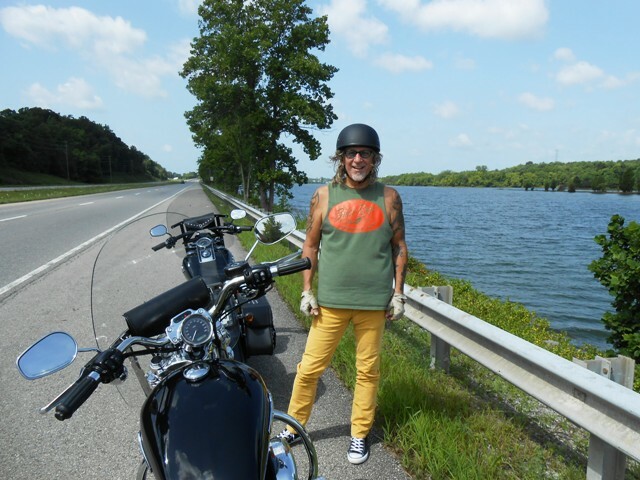 On Thursday, July 9, 2015 we took another Day Ride. 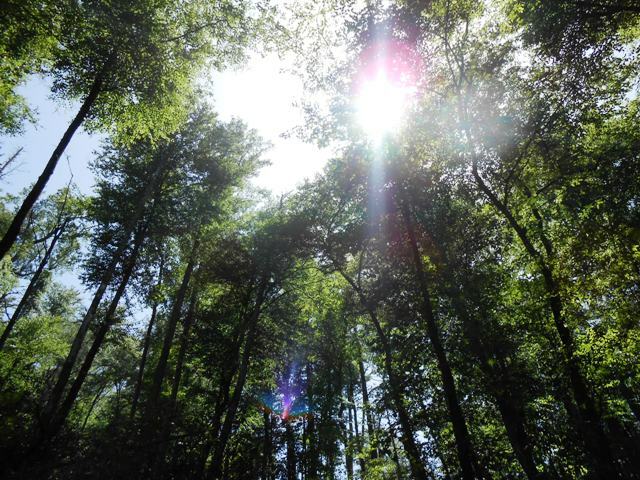 Our destination was the Joyce Kilmer Memorial Forest – right off the Cherohala Skyway in North Carolina. We took off from our home at 10:15am. It was a warm beautiful day with clear blue skies. 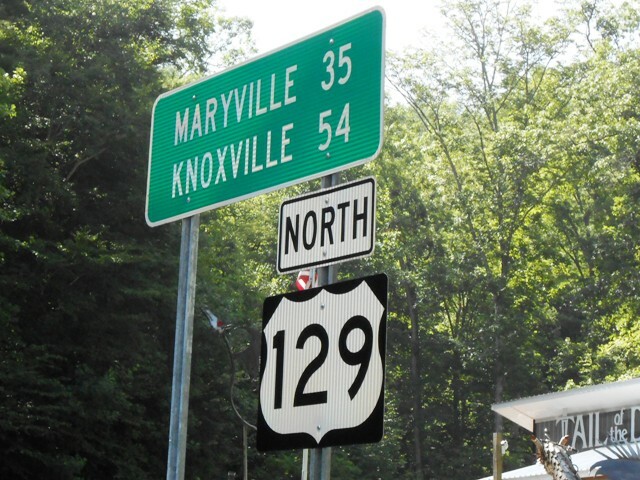 We rode down Alcoa Highway through Maryville to 411. Here’s Jeff on 411. What a beautiful day! 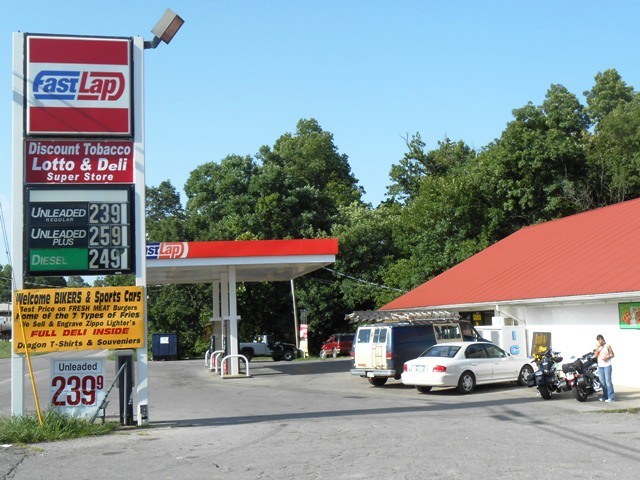 We took 411 into Vonore where we stopped to fuel up. 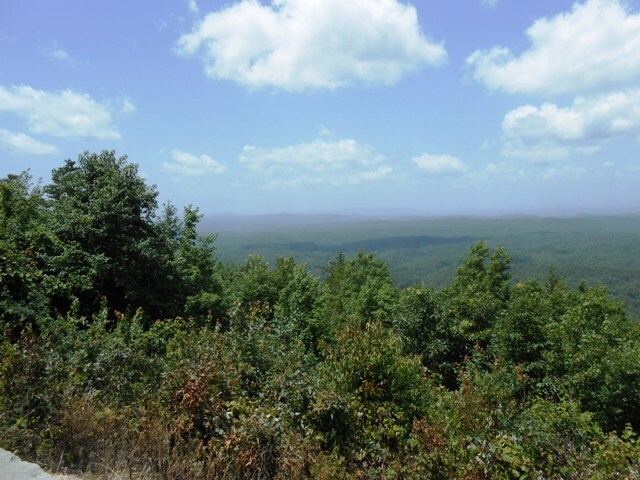 From Vonore, we took 360 south and then took Citico Road. 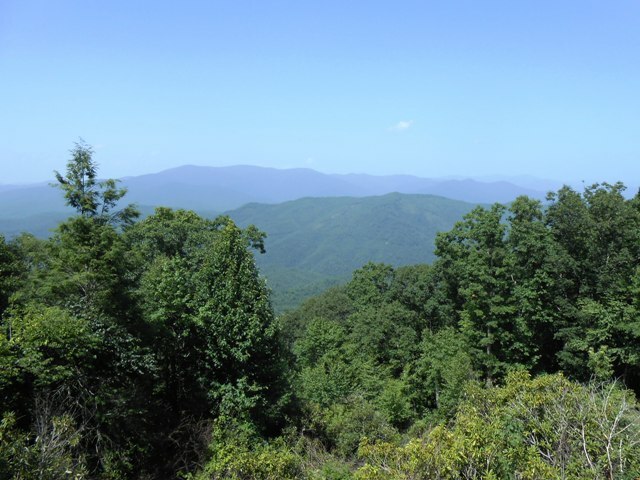 We were heading south toward the Indian Boundary which is just off the Cherohala Skyway. 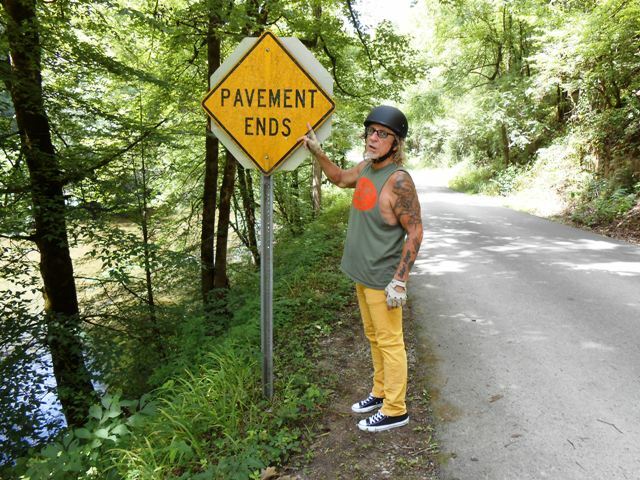 Citico Road runs out of pavement! 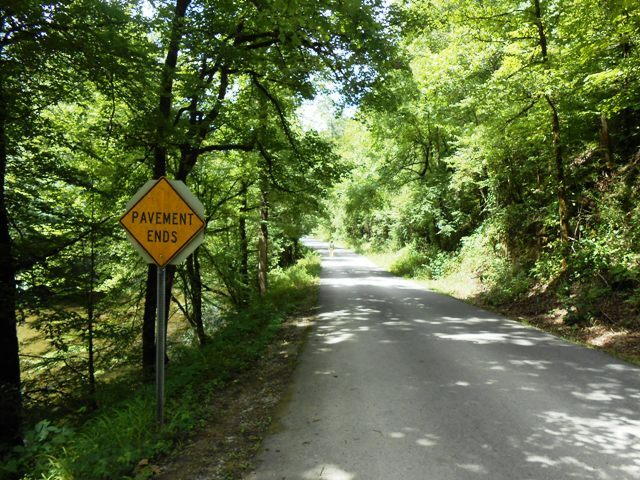 About ten miles into Citico Road, the road turned to gravel. We felt the gravel and steep grade up the mountain was too much for our cruisers, so we turned around and headed back to 360. 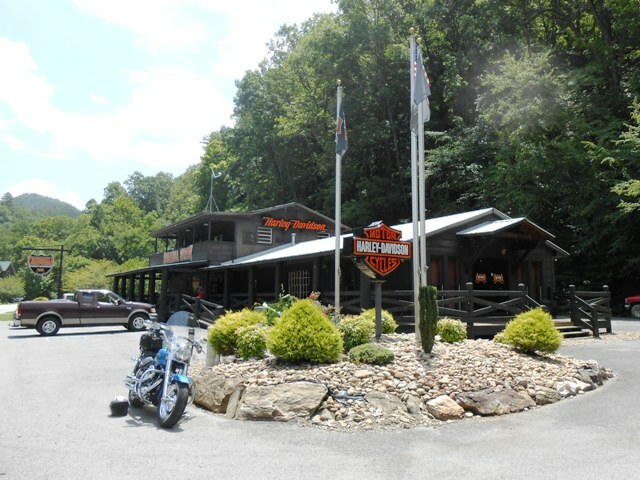 We stopped at the Harley shop in Tellico Plains for a short break. 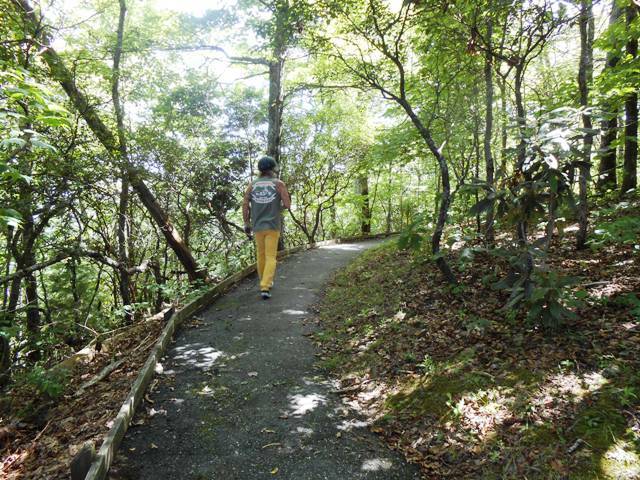 … and then onto the Cherohala Skyway. 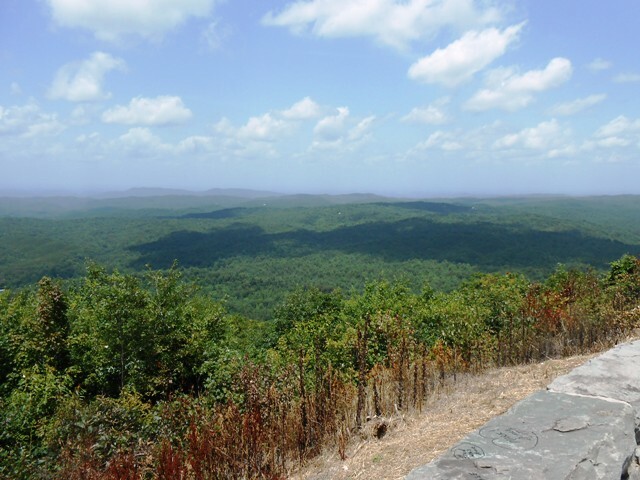 We stopped at several overlooks along the way. 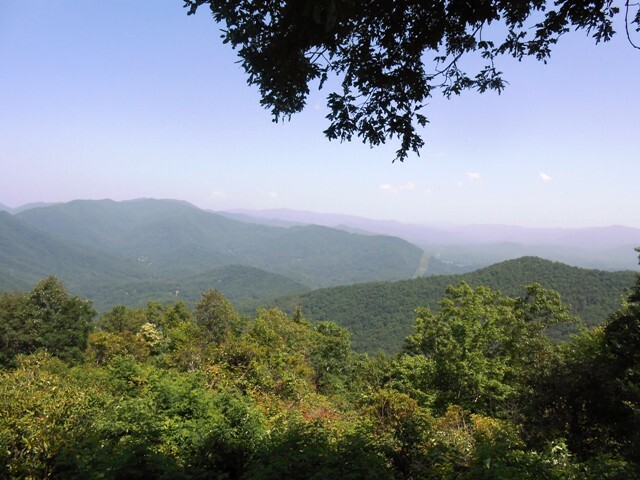 The views along Cherohala Skyway are gorgeous. 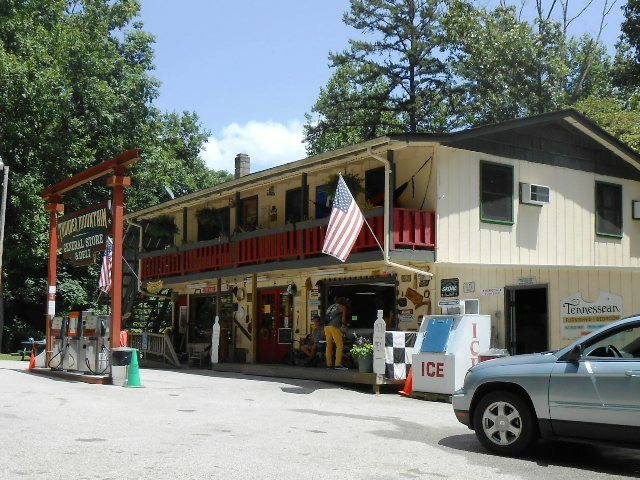 The Thunder Mountain General Store and Deli. The owners of the store were super friendly and the deli sandwiches were great. 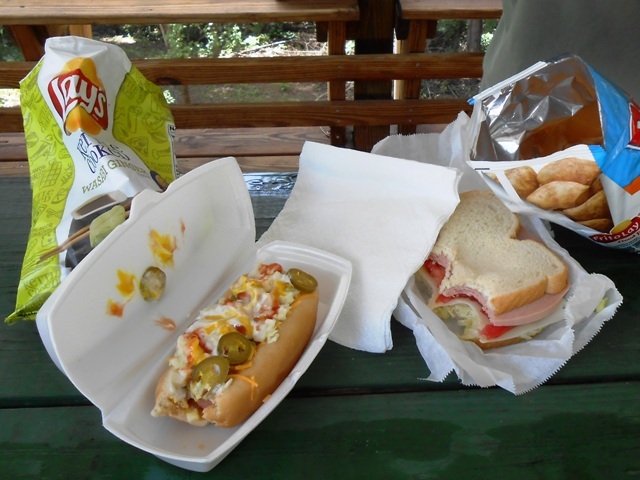 We ate our sandwiches in the nicely maintained picnic pavilion next to the store. And we fueled our bikes before continuing on our journey. Deli sandwiches from The Thunder Mountain General Store are terrific! 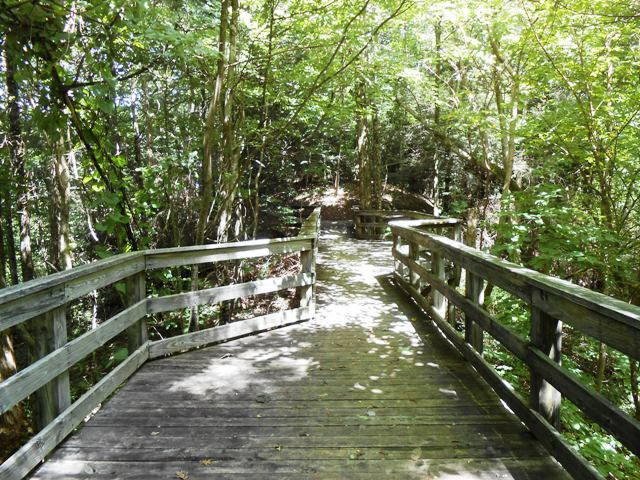 After lunch, we headed back to the Joyce Kilmer Forest Road. 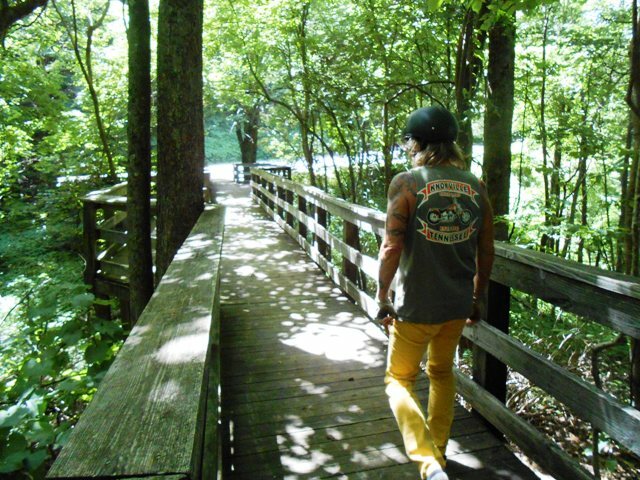 We stopped at the Joyce Kilmer Campground and picnic area to enjoy the beautiful scenery and learn more about the history of this forest. 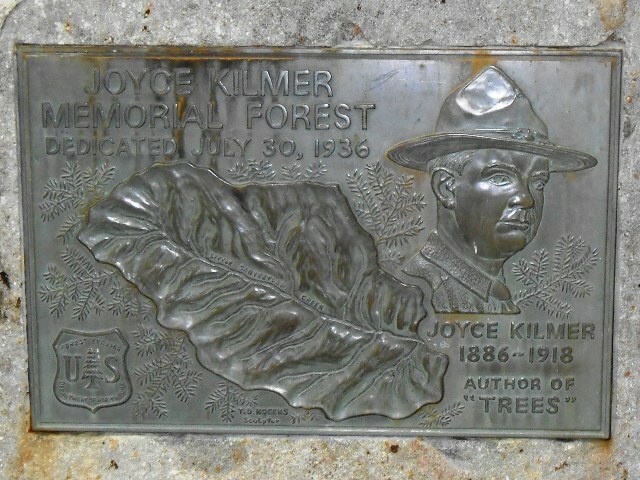 The forest is named for Joyce Kilmer who wrote the poem ‘TREES’. Joyce was right- the trees are lovely. 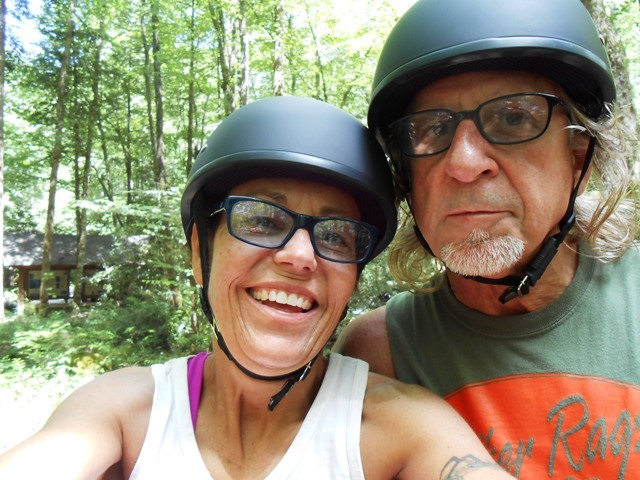 After visiting the campground, we rode four and a half miles up to the Maple Springs Observation Point. 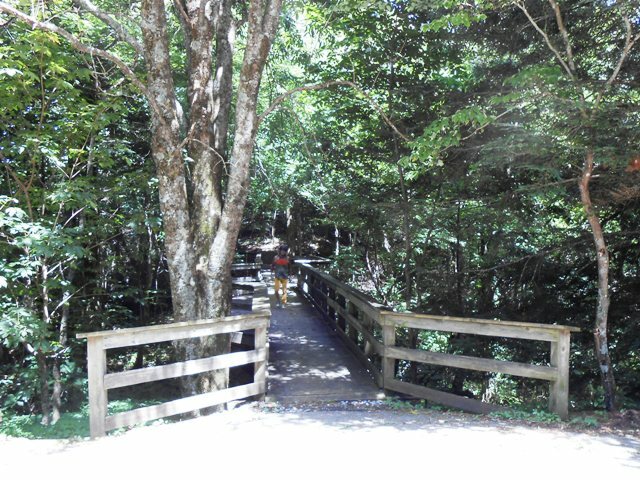 The trail head from the parking lot leading to the overlook. 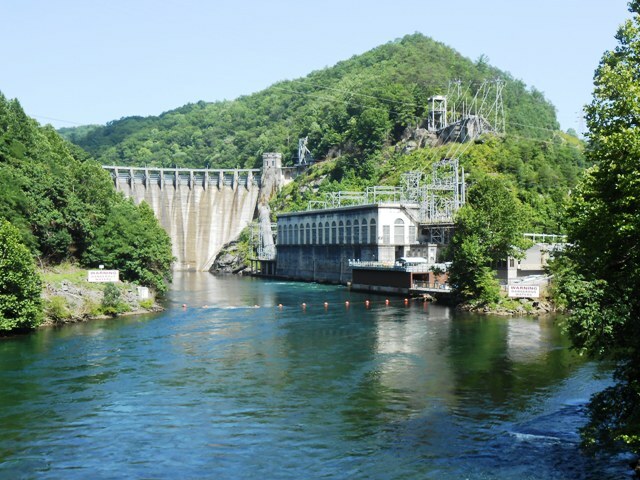 A beautiful view of the Nantahala Mountains. Walking back toward the parking lot. We are so thankful for the opportunity to see that view! 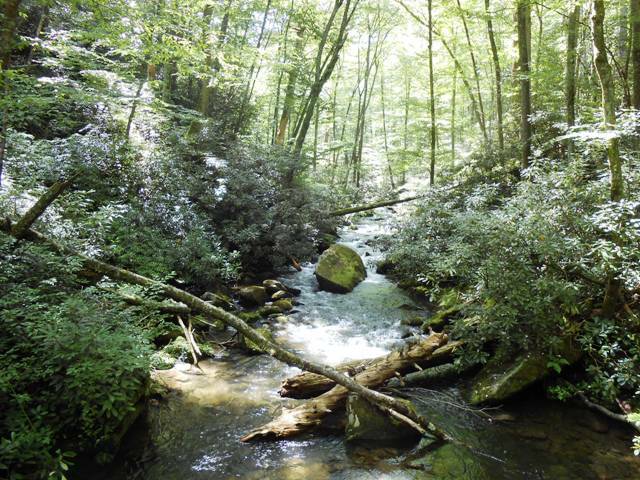 After visiting the overlook, we continued on Joyce Kilmer Road which took us to 129- just south of Cheoah Dam. 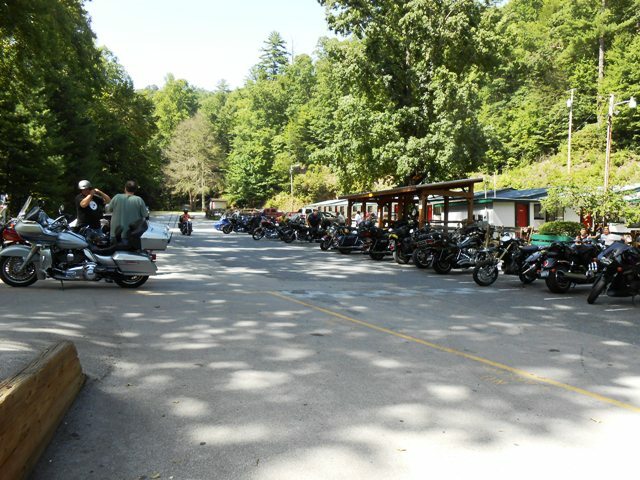 We rode north on 129 to the Deals Gap Dragon Store where we stopped for a cold drink. Bikes and bikers were everywhere! A nice stopping point along 129. Lots of bikes at this popular resort. 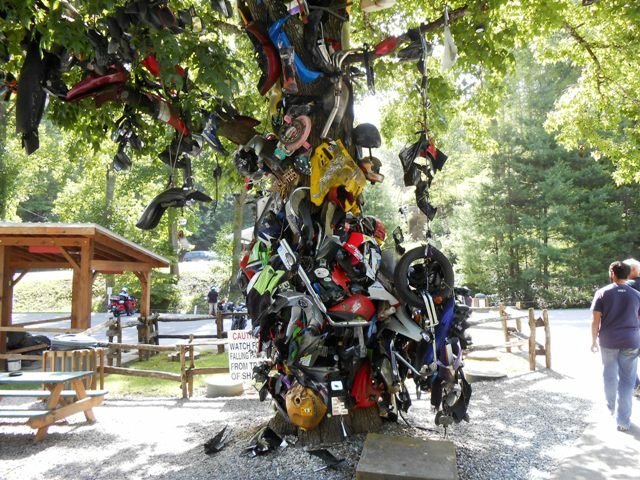 The infamous ‘Tree of Shame’. 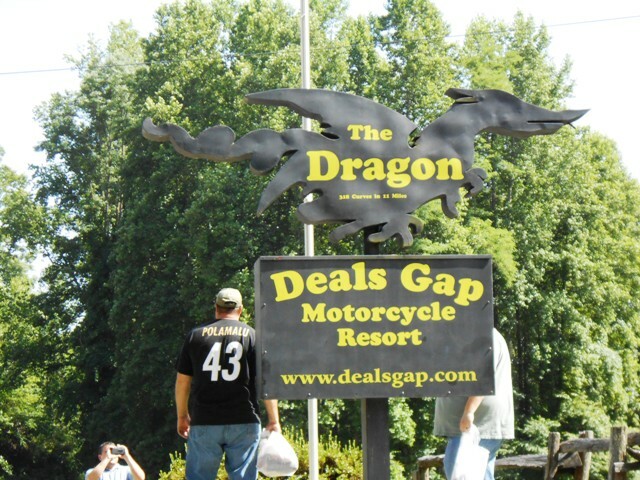 Tail of the Dragon is across the road from Deal’s Gap Resort. 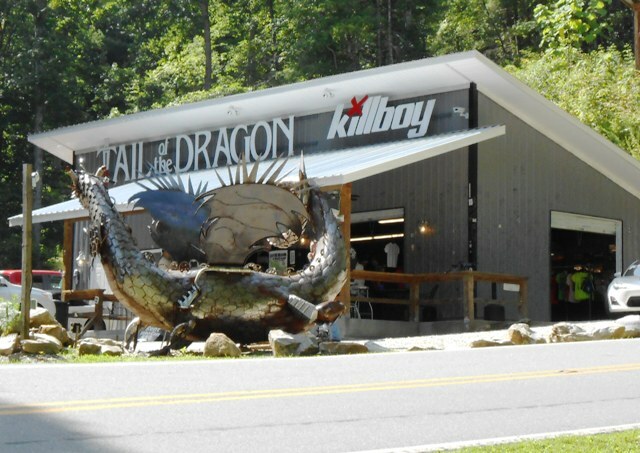 From the Dragon store we continued on 129 down the mountain to Tallassee. We stopped at the Fast Lap for an ice cream. After enjoying a cool treat, we took 335 into Maryville, then back on Alcoa Highway and into Knoxville. We got home at 6:45pm and our total mileage was 220 miles. What a great ride! 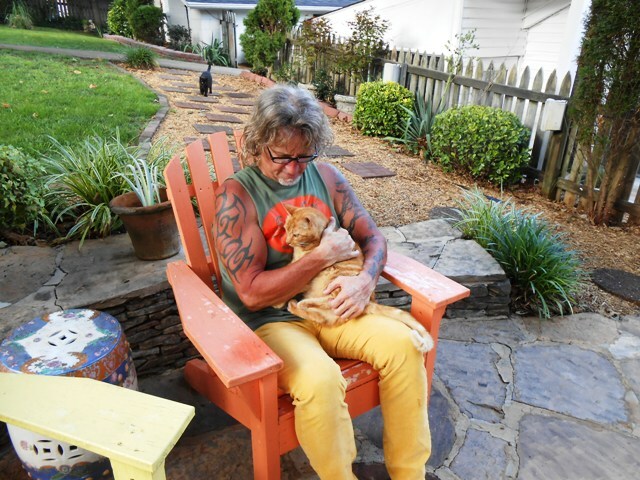 Jeff hugs on our cat Dave. The fur kids are always glad to have us home. 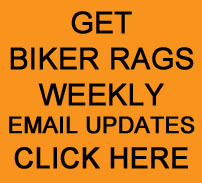 This entry was posted in Day Ride and tagged Biker Rags, Cherohala Skyway, Day Ride, Joyce Kilmer Memorial Forest, Maple Springs Observation Point, Thunder Mountain General Store and Deli. Bookmark the permalink.